I am currently working with a client to organize her craft room. Now, she is a crafter from way back. She is a women who has seen trends and styles come and go, and has been in the forefront of many of them. Aside from crafting for her own enjoyment, Ruth is a craft teacher to many, a mentor to some and a Stampin Up representative to the masses. 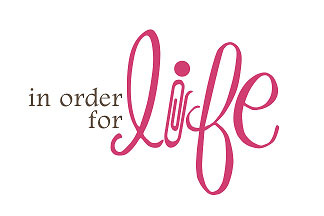 If you are in need of any Stampin Up supplies, Ruth can be reached at 410.751.8818. She keeps up with the changing times, and so do her craft supplies. Over the years, her craft supplies have managed to take over her craft room. Despite the fact that Ruth is an organized soul, and had some great organizational systems in her craft room, the space had become unruly. During our first organizing session together, Ruth was able to part with many craft supplies that have become obsolete to her. This truly is the 1st and most essential step in any organizing project. You can’t organize clutter! And clutter is anything that you don’t love, anything that doesn’t bring you joy, or anything that you simply don’t need or use anymore. These are items that can be in perfect, pristine, and wonderful shape. They may be “in style” and current. But, if YOU don’t love them, if they don’t bring YOU joy, or if YOU can’t use them anymore, they become your clutter. Ruth donated specific items to specific friends who she knew could use and would want them. Other items were boxed up for Goodwill. Finally, we had several boxes filled with art and craft supplies that she donated to Elmer Wolfe Elementary School. 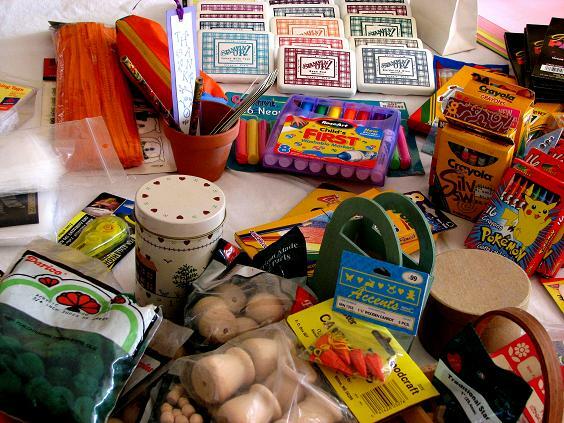 These included items that could be used for arts and crafts, as well as items that could be used as teacher prizes. thankful for Ruth’s generosity. 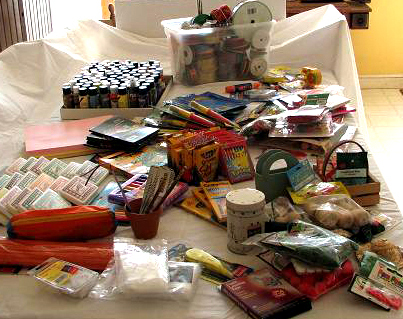 The boxes were brought into the teacher’s lounge and the art and craft supplies were distributed to all. What an awesome gift Ruth was able to give the teachers at Elmer Wolfe Elementary School. Her trash truly did become a treasure and a blessing to others. Thanks Ruth for taking the time and the energy to bless another! How might you be able to bless others with your “clutter”?